Carla M. Caramella received her M.Sc. in Pharmacy from the University of Pavia in 1967 and Pharm.D in Chemistry and Pharmaceutical Technology from the same university in 1971. 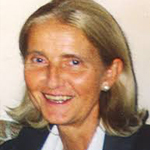 She has been a full professor of Pharmaceutical Technology and Biopharmacy at the Department of Pharmaceutical Chemistry, Faculty of Pharmacy, University of Pavia since 1986.Professor Caramella’s current research interests are in the design and evaluation of delivery systems and include: mucoadhesive gels for buccal and vaginal antinfective treatment, prolonged release oral dosage forms based on anionic polymer-basic drug interaction products, films and micro/nanosystems for ocular therapy, mucoadhesive spray solutions for mucositis treatment, advanced dressings for wound healing. Over 220 published papers, including original papers, reviews, published abstracts and miscellaneous publications, 12 book chapters, one text-book on Pharmaceutical Technology.